Inspired by our homeland ancient history and legends, where time had no limits, and the colourful future horizons has no boundaries, we started this encyclopedic site Iraqwho. We have put all these inspirations as our attainable goals to quench the thirst of our souls by amalgamating the immortal legendry epic of Gilgamesh with the hopes of the promising future. 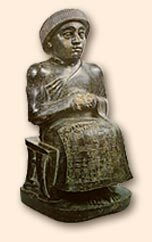 “The cradle of civilization”, means the first agriculture, the domestication of animals, and the transition to sedentary life took place, the creation of scripts and writings, the creation of laws and rights. Join our mailing list ...!